Rosie and Radish: It's a little bit sketchy....! It's a little bit sketchy....! 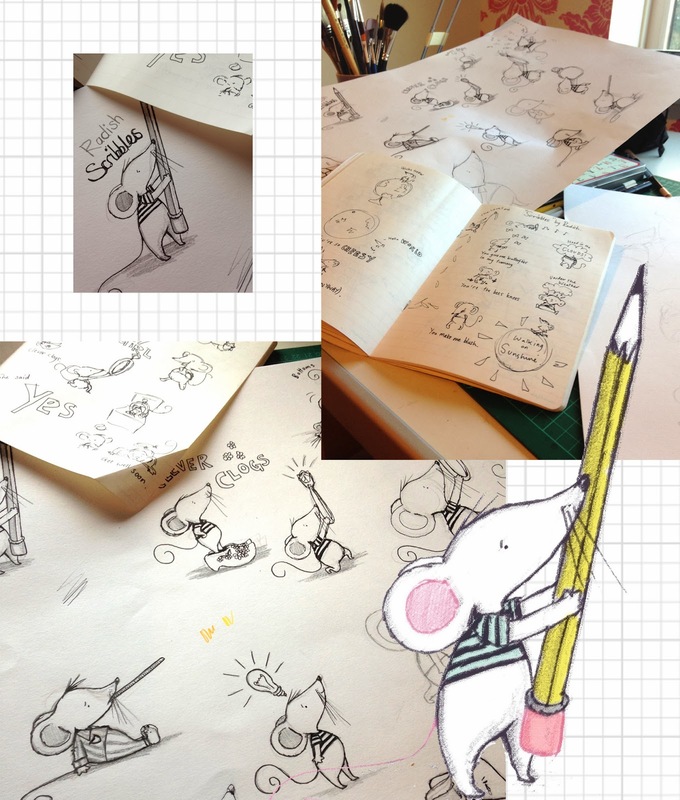 Well hello from Rosie and Radish HQ! Amy and I have been extremely busy over the last couple of weeks working on a brand new range idea that we hope to launch very soon. It all began when we rested our weary legs after a lot of walking around at Top Drawer a few weeks ago. 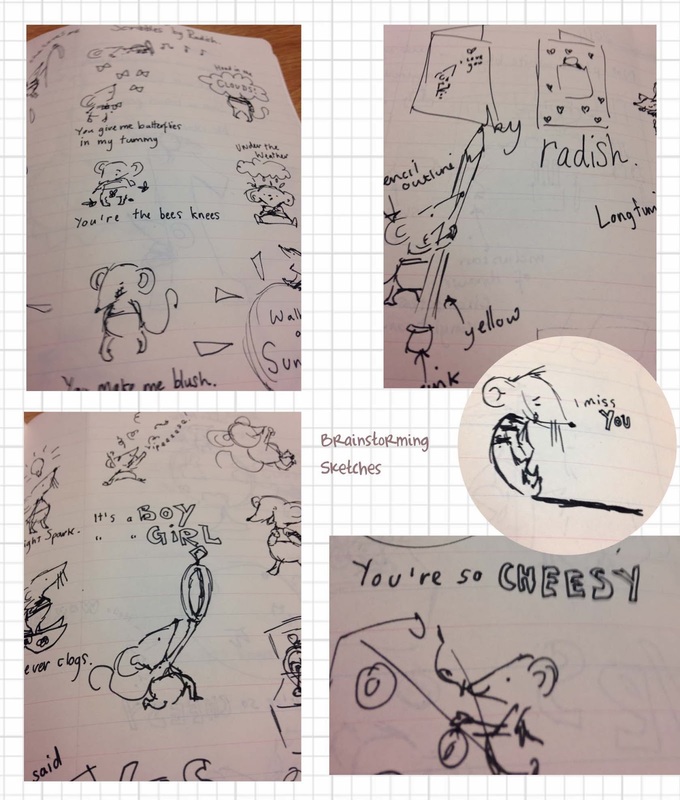 The very very rough sketches in the trusty notebook. 'Scribbles by Radish' is off the ground!